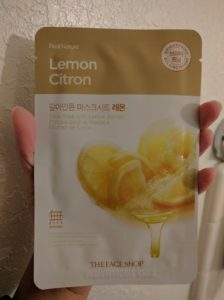 Today, I’ll be reviewing my very first sheet mask: The Face Shop’s Real Nature Lemon Citron Sheet Mask. The Face Shop is a South Korea-based beauty store that specializes in “natural” skincare and cosmetic lines. Hence, many of their items contain fruit and other plant extracts. 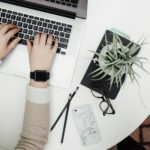 While I’ve seen many The Face Shops in the United States and the Philippines, I’ve never purchased anything because I just didn’t know where to start. 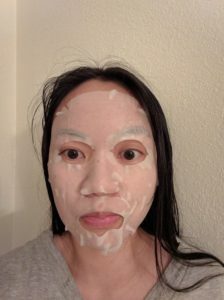 After my issues with CeraVe PM, I stopped by a nearby The Face Shop bought this sheet mask to tie me over until my next moisturizer arrived in the mail. If you look at the upper right hand corner of the mask pack, you’ll see a circular logo that says “Brightening”. As per the name, this brightening effect is achieved through the use of lemon extract. I made the mistake of applying this sheet mask before my mandelic acid serum, an error I won’t be making in the future! Fortunately, this need not seem to affect my results. The sheet mask itself was generously soaked in liquid, with enough left over to use as a serum the next day. I used the extra product on my arms, legs, and my husband’s face. While I’ve read reviews from people complaining about the strong smell, I didn’t mind it at all. In fact, I found the lemon scent refreshing and invigorating. To each their own! Overall, the mask moisturized my my face but also left it slightly sticky. However, every single sheet mask I’ve used since this once has left some degree of stickiness or tackiness on my face. As for the brightening claims, I looked in the mirror the next day and found my face noticeably brighter! The Face Shop’s Real Nature Lemon Citron Sheet Mask is a solid sheet mask that does what it claims. 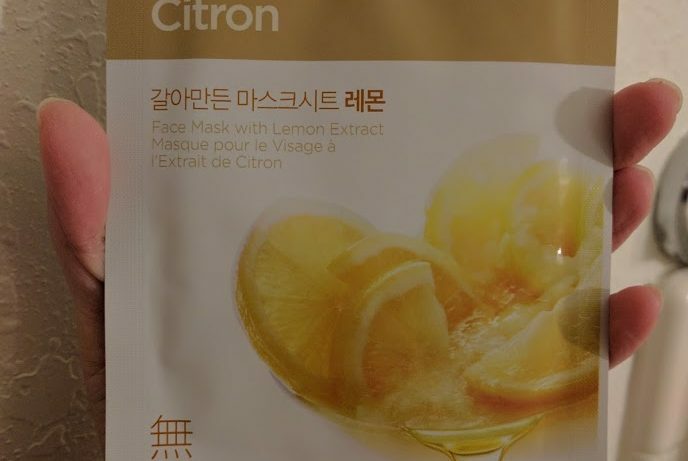 Since I’m lucky enough to live near The Face Shop, I’ll likely be purchasing more of this mask. I also plan on trying out the rest of their Real Nature line in the future! You can find this product at The Face Shop stores or online retails like Amazon.com.